If Viacom CEO Philippe Dauman gets ousted as part of the company's nasty, ongoing boardroom fight, he'll make out incredibly well. It helps that Dauman is one of the country's highest paid CEOs. If he were to be fired today, Dauman would get more than $81 million in severance, according to a regulatory filing. That's equal to three times his $4 million salary, plus three times his $20 million annual cash bonus, along with health benefits, interest payments and the remainder of his annual stock awards that he hasn't yet cashed in. Dauman's severance is prorated, so it will reduce in value as he gets closer to the end of his contract. But his current contract only went into effect five months ago, and it doesn't expire until the end of 2018. The smart money is on Dauman getting ousted way before his contract is up. Despite the company's well-chronicled turmoil, Viacom's stock is actually up this year in anticipation of Dauman's firing. 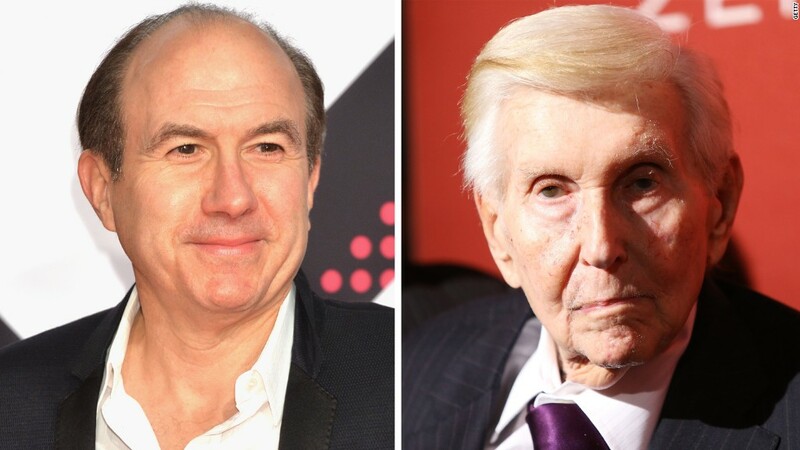 Sumner Redstone, who controls Viacom (VIA) and CBS (CBS) through his chairmanship of theater chain National Amusements, kicked Dauman off the National Amusements' board on Thursday. Last month, Redstone removed Dauman from the trust that will control Viacom and CBS after Redstone dies. Redstone's lawyers say that he is upset about Dauman's plan to sell a stake in Viacom's struggling movie studio Paramount Pictures. Dauman claims a sale would lift Viacom's stock price by $10 a share, but Redstone is vigorously opposed to the idea. Lawyers for Dauman claim that Redstone lacks the mental capacity to maintain his control of the companies, and he is being manipulated by his daughter Shari. Dauman claims that Shari wants to gain control of Viacom. Meanwhile, Viacom is struggling. The company issued a warning on Friday, noting that it would not meet its earnings targets for the current quarter due in part to the poor performance of "Teenage Mutant Ninja Turtles: Out of the Shadows." In a regulatory filing on Friday, Viacom said it would reimburse Dauman for his legal expenses in his court battles with Redstone. For Dauman to cash in on his entire severance, he would have to be terminated "without cause," or resign "for a good reason," which could include a statement from the board that he has lost its support. That's essentially corporatespeak for "You can't fire me, I quit!"